AMETEK DT-8300 is a high-quality digital thermometer, which comes in a rugged construction, being designed for various applications such as worry-free, dependable temperature measurement solutions, anywhere in the plant. 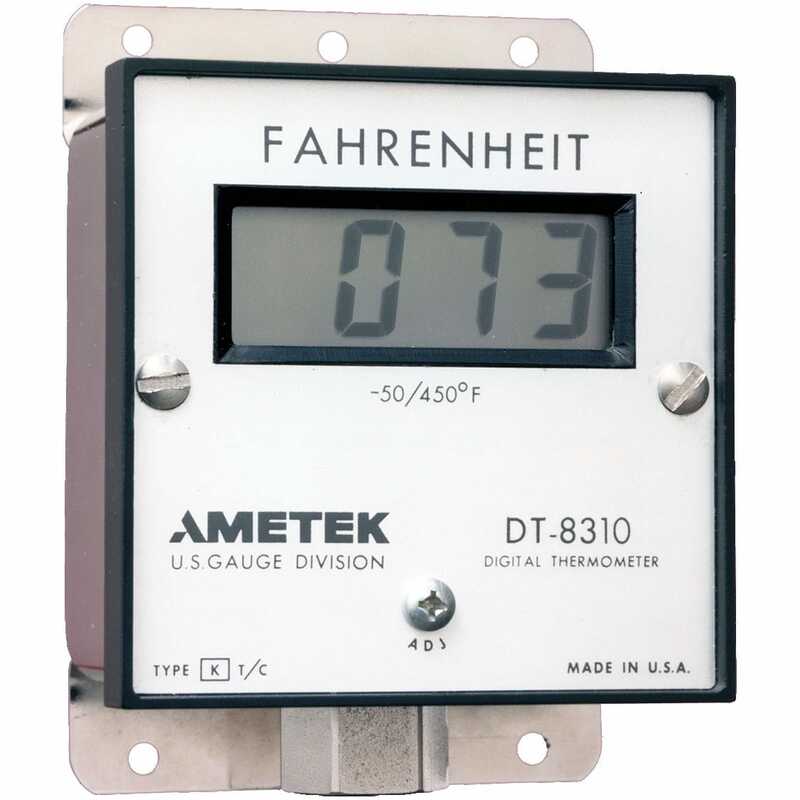 It is unique and can be used with any Type K thermocouple, providing convenient, quick and continuous monitoring of gas and liquid processes. Note that the DT-8300 is ideal for use in places that are hard to reach, including overhead pipes and others. There are no less than four configurations available, including wall, pipe, panel and stem mounting. With a stainless steel housing of the finest quality, along with a one piece VALOX bezel/face that provides a corrosion-resistant package even for harsh environments, this item is suitable for most applications and supports a wide ambient temperature range.